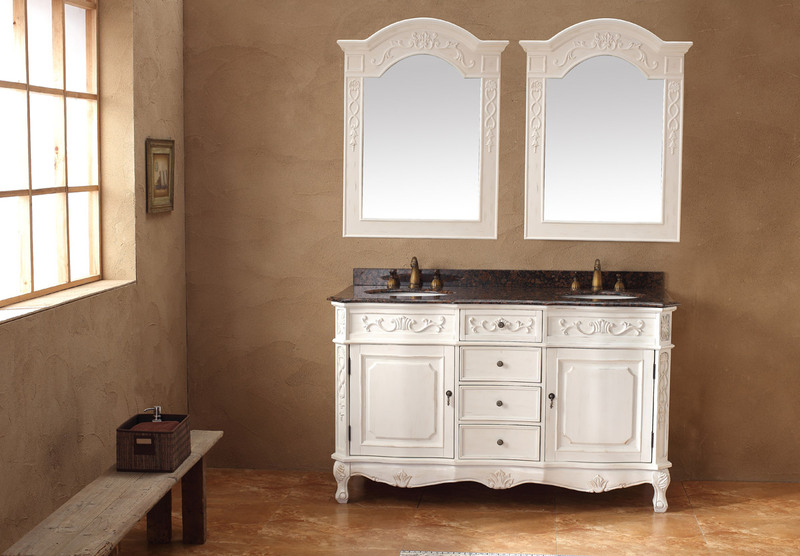 The 60" Donnybrook Double Sink Bathroom Vanity is perfect for the bathroom in need of traditional style with touches of simplicity. 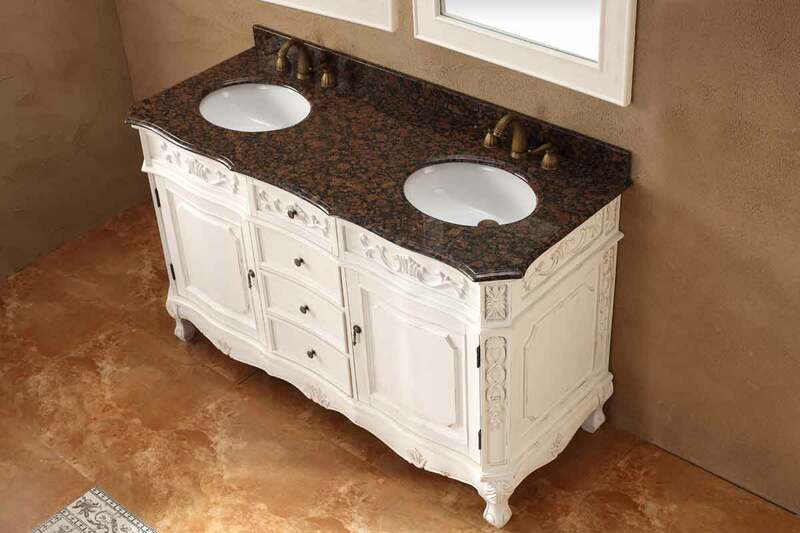 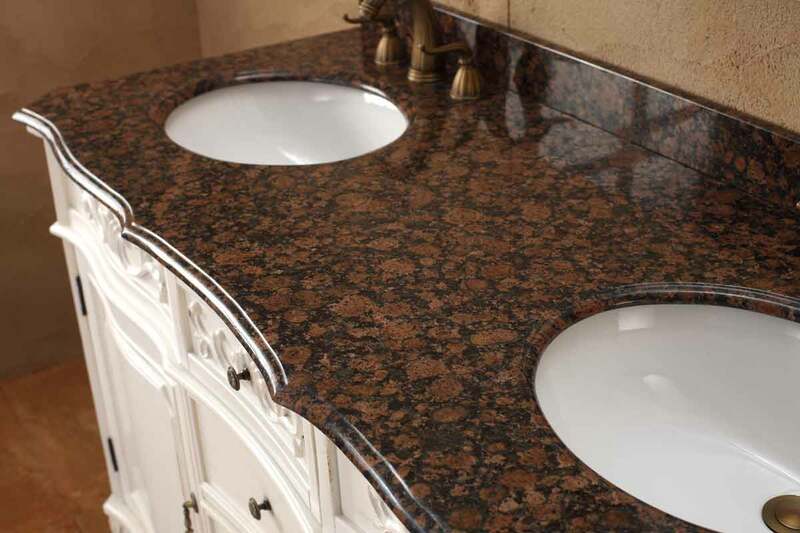 Its white finish will bring light and a feeling of airiness into your powder room while its rich granite top adds a luxurious look. 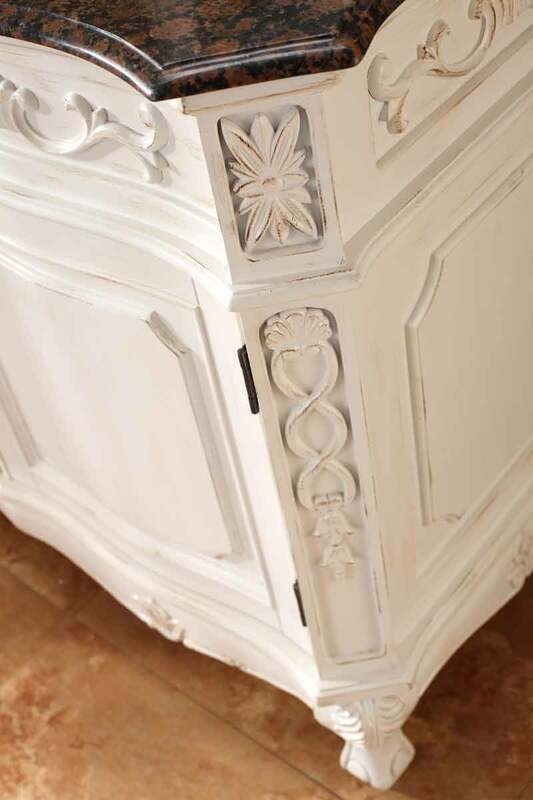 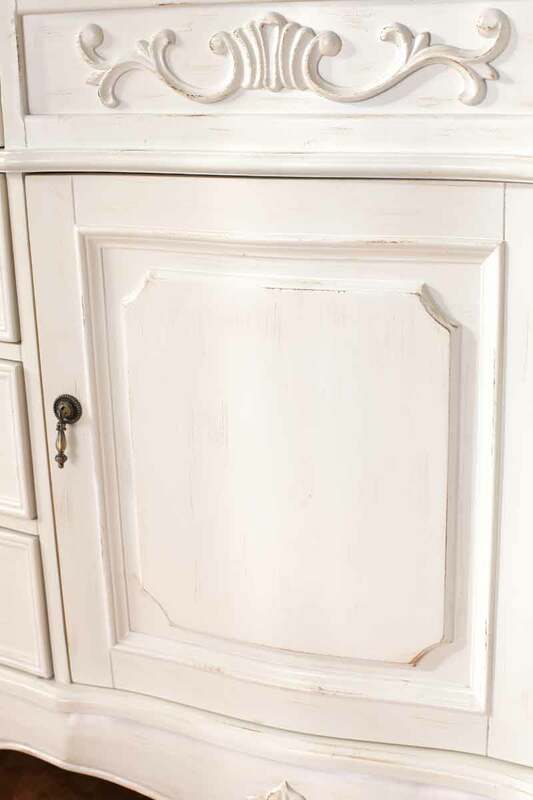 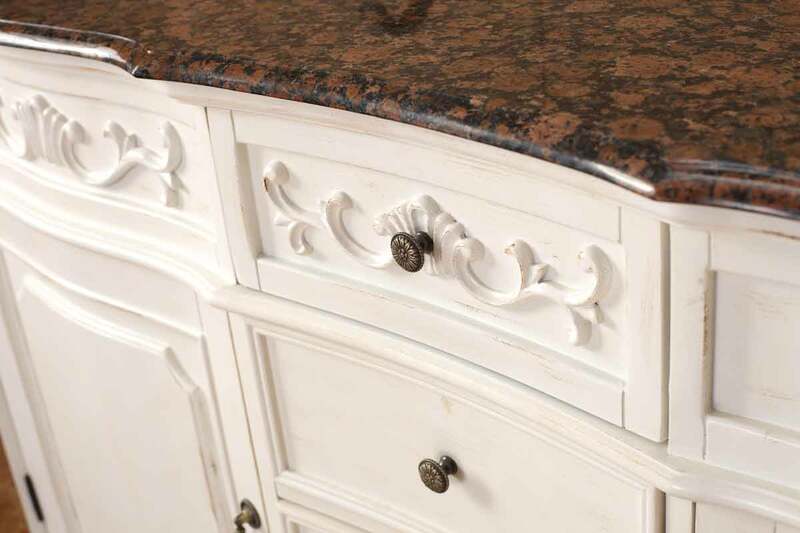 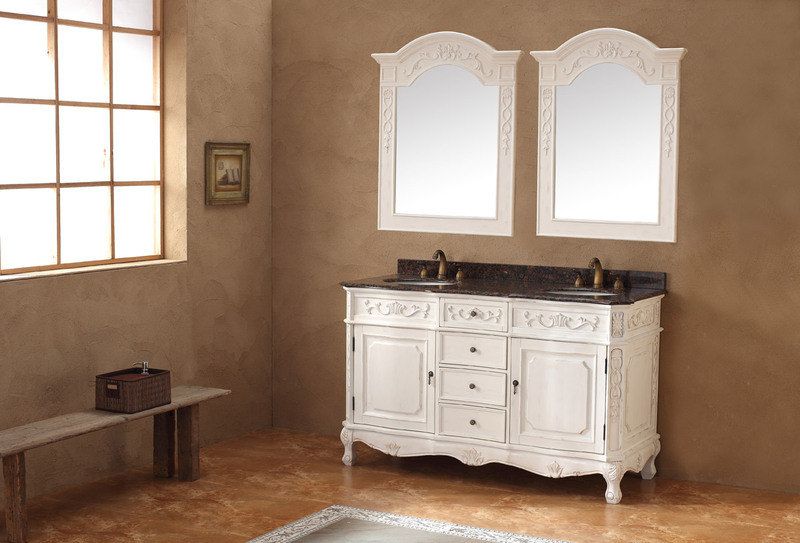 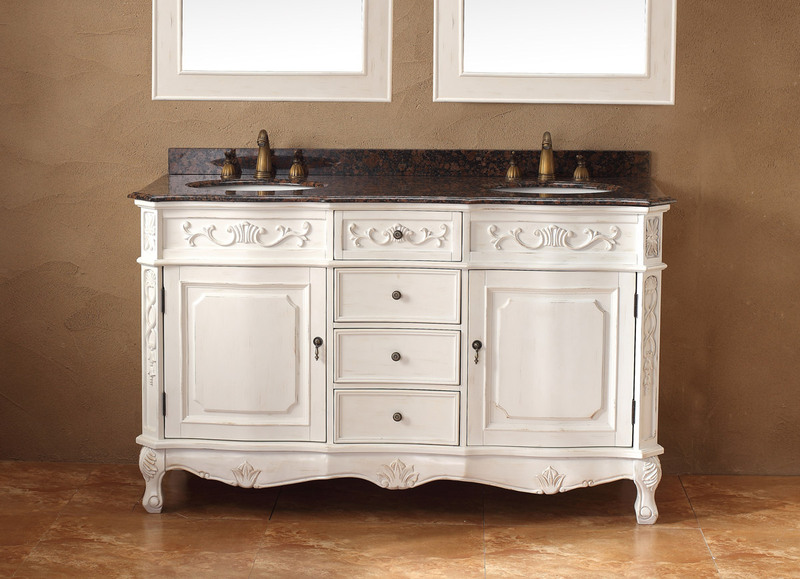 Its gorgeous carvings and antique cabinet door and drawer handles add a touch of elegant traditional style. 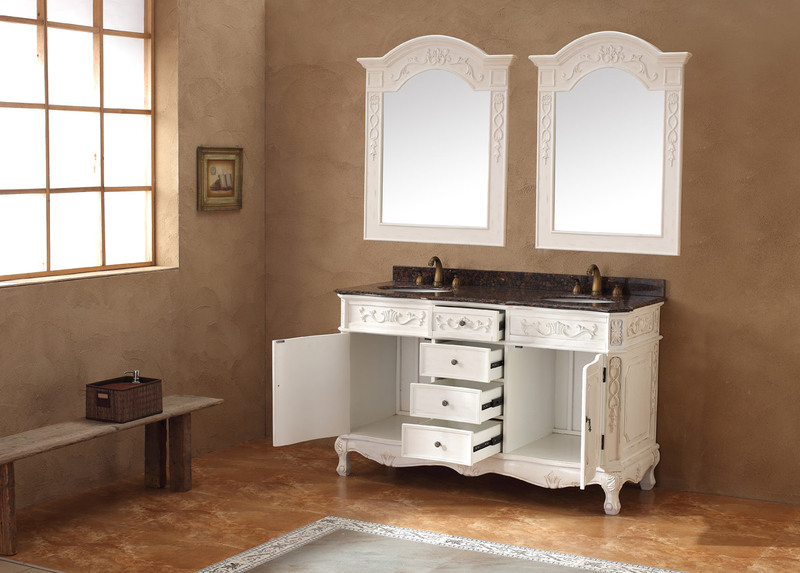 Meanwhile, four fully functioning drawers and two cabinet doors add storage to your bathroom space.